Every day at 3pm, Saturday excepted. Sunday at 5pm. Closed on Saturdays. Let yourself be enchanted by the château whose proportions, golden stone walls and incomparable beauty of the lauze, limestone tiled roofs, led the historian Jean Secret to say that it expresses “the quintessence of Périgord”.. It is because we have spent our childhood in the château and have been privileged to witness the enthusiasm of our parents restoring it, that we take care of the visits ourselves. Discover with us its warm interiors, furnished with elegance and arranged with ingenuity. Every day at 3pm Saturday excepted. at 3 and 5pm . Friday at 3pm and Sunday at 5pm. Closed on Saturday. € 7.50 per person, € 4.00 for children aged 7 to 12 and free for children under 7 years old. € 6.00 per person, and one free admission. 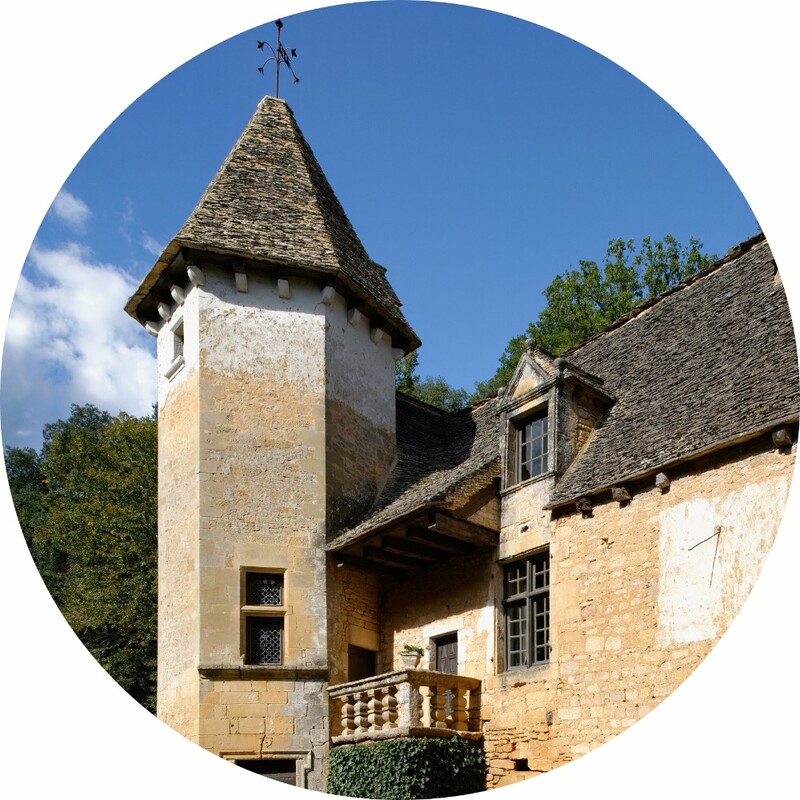 A guided visit of the château is provided in English.